Already trusted by hundreds of homeowners, landlords & business owners across the county, Emergency Plumbers Dublin is committed to delivering a great plumbing service and providing quality customer satisfaction. 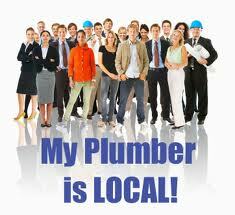 This is why more and more customers now choose us every year for their plumbing needs. We promise fast response times, a comprehensive guarantee, upfront pricing and service with a smile. We operate 24 hours a day, 7 days a week. 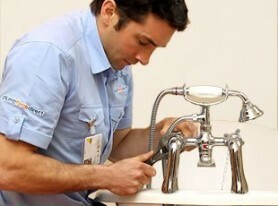 You can trust Emergency Plumbers Dublin for all your plumbing needs. Emergency Plumbers Dublin is an amalgamation of some of the most experienced Plumbers in Dublin, thus ensuring the best quality workmanship. The business has been repairing and installing heating and plumbing systems in the Dublin area for many years. Some of our team have over 30 years experience in the private and commercial plumbing sector, so you are in safe hands. Over time we have grown to become one of the most popular and trusted plumbing companies in Ireland. Our work is based on our reputation; this is why the customers of Emergency Plumbers Dublin are so important to us. No matter how large or small the job, you can be confident that our reliable high quality service will remain the same. Our friendly team of fully qualified, R.G.I. registered plumbers can help you with any kind of plumbing emergency or heating problems your home or business may have. We do not charge for call outs. We have plumbers on call, available to help! Call us on 01-6874850, our staff are based across the county and are on call 24 hours a day, 365 days a year. Our vans are fully stocked so we can always deal with your repairs and emergencies rather than doing the run around for parts. Call us now for a FREE quote. We know that is can be difficult to find a good reliable plumber, customers can be rest assured that we offer the highest quality service. We guarantee all of our work, this provides our clients with total peace of mind and at a fraction of the cost of some of our competitors. Our prices are extremely competitive and all of our charges are completely transparent, this is so you know exactly what the service will cost you. For our team no plumbing job is too small or too large for us, so call now for a free no obligation quote. We look forward to hearing from you.